First Listen: Shout Out Louds, 'Optica' Particularly in its first half, Optica plays like a marvelous '80s mixtape, albeit one with modern production values and a good deal of subtlety. In all their sweet and sunny glory, the Swedish pop band's songs invariably chime and shine. 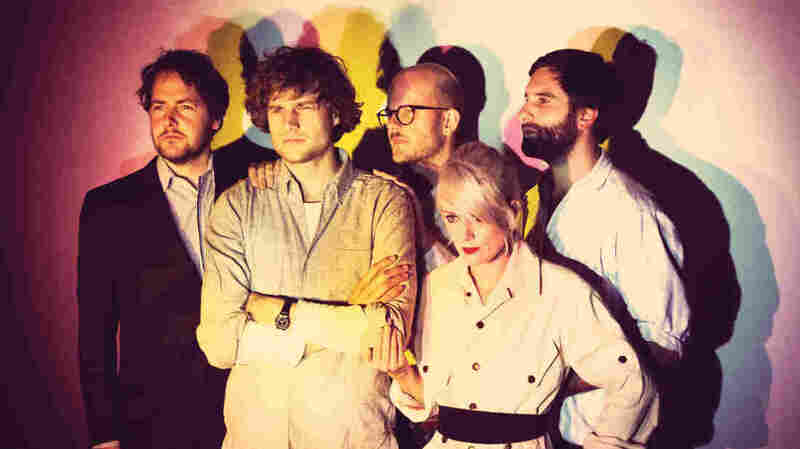 Shout Out Louds' new album, Optica, comes out Feb. 26. Say what you will about some of the biggest songs of the 1980s — go ahead and badmouth electric pianos, and by all means bemoan the prevailing production quality — but the decade continues to cast a long shadow over popular music. Given its enduring popularity on dance floors and on radios, not to mention the rise of '80s-emulating singers like Gotye, you could do far worse than look to that decade for tips on connecting with audiences. Which brings us around to Optica, the new fourth album by the Swedish band Shout Out Louds, and particularly its song "Illusions." Listening to it in 2013, it's as if someone traveled back in time 30 years and slipped The Thompson Twins the biggest hit of their career, and now a young band is tapping into our shared nostalgia by rehashing a hit that's somehow been lodged in our memory banks all along. "Illusions" may be brand-new, but it already feels eternal. Particularly in its first half, Optica (out Feb. 26) plays like a marvelous '80s mixtape, albeit one with modern production values and a good deal of subtlety. The references aren't all pop, either — the album-opening "Sugar" sounds like The Cure's Robert Smith stepping in to lead The Smiths — but the results, in all their sweet and sunny glory, invariably chime and shine.